The waste-to-energy (WTE) plant in Delhi's Okhla has been worrying residents of Sukhdev Vihar for a while now. Its efforts to expand from 16 megawatt (MW) to 40 MW and add two more boilers to its existing three have made them take to roads several times. Despite Environmental Impact Assessment (EIA) norms saying that boilers, in case of explosion, will hazardously impact everything within 260-metre radius and a manual by the Ministry of Housing and Urban Development saying such plants should be located no nearer than 300 meters from residences and industries, Sukhdev Vihar DDA Flats and Haji Colony are located 45 metres away from the plant. Also falling within the explosion impact zone are Jamia Millia Islamia university’s residence for women and the residences for staff and students of Central Road Research Institute and Institute of Genomics and Integrative Biology. The residents are trying to make the authorities relocate the plant so that they are not in harm’s way. Their efforts got them a small success when their protests made the South Delhi District Magistrate postpone the hearing to expand the plant. This entire incident brings us to the question about how effective have the WTE plants in Delhi been? None of the three plants — Sukhdev Vihar-Okhla, Ghazipur and Bawana — that were inspected by a Supreme Court committee, is producing or using refuse-derived fuel (RDF), a fuel produced from municipal solid waste, industrial waste and commercial waste. A study conducted by the Shriram Institute for Industrial Research in 2017 says that between 55 per cent and 60 per cent of municipal solid waste (MSW) in Delhi is biodegradable and that its calorific value does not exceed 1,324 kcal/kilograms when self-sustaining combustion requires 1,800 kcal/kg. What is now being burned in the three WTE plants has half the calorific value of genuine RDF with consequences for toxicity of emissions. And, this is when low temperature combustion does not even take care of dioxins and furans. The main proof of the failure of WTE plants to achieve stipulated temperatures is the bottom ash, which, in case of Sukhdev Vihar and Ghazipur, constitutes partially burnt or unburnt plastic and organic material such as wood and rags. It is safe to say that some 40 per cent of the approximately 5,000 tonnes currently being incinerated in Delhi ends up in the three waste dumps as fly ash and bottom ash and hence defeats the purpose of incineration. This just turns the plants into bulk generators of waste. What is not accounted for is the large tonnage of noxious gases, the products of low temperature combustion of unsegregated waste, being spewed out by the three plants into the city’s already polluted air. An expert compared this process with creating landfills in the sky. And, if the current expansion plans go through, Delhi will be staring at the spectre of emissions from the incineration of some 8,000 tonnes of garbage on a daily basis. The Okhla WTE plant started out as an integrated waste management facility but was quietly provided with the required RDF and bio-methanation units, despite warnings from the Central Pollution Control Board. It then started burning unsegregated waste at low temperatures to produce char that is unsuitable for brick-making and has to be transported eight kilometres to the Okhla landfill. Since the plant is also not near a landfill, as required by MSW handling rules, the toxic load is taken through the Mathura Road (National Highway 2). And who ends up bearing the brunt? The users of NH2 as they are exposed to hundreds of trucks filled with toxic fly ash. 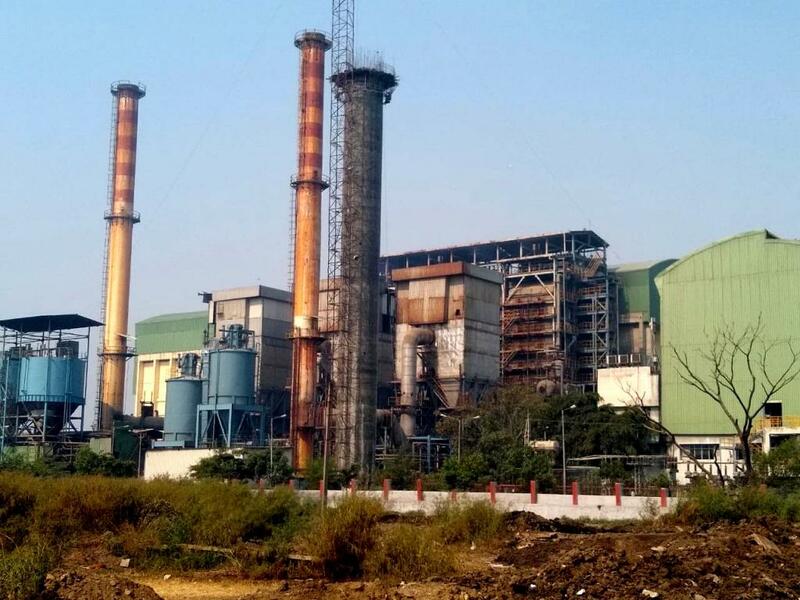 All the three plants — according to recent affidavits submitted at the National Green Tribunal by the CPCB — exceeded suspended particulate matter (SPM) limits. So, the biggest argument against the operation of WTE plants within the national capital is the poor ambient air quality especially during winters when the air is still and undispersed emissions cause widespread health hazards. Also, the aerial emissions and the heavy metal-laden toxic ash, which is dumped in unlined landfills, are bound to eventually pollute groundwater. Delhi’s waste is not suitable to burn. Municipalities and private players in this business need to ensure segregation at source and support end-to-end segregation. Delhi has a set bylaws, which, if followed, can better the scenario. Also, the huge informal sector for recyclables in Delhi must be integrated. It’s time we stop mixing and burning.